Get ready for your next adventure behind the wheel of an all-new vehicle from Brantford Nissan. Looking for a new or pre-owned vehicle? Considering a new or pre-owned vehicle? Browse our inventory to find the car or truck that fits your style and your budget. Maintaining your current car or truck? 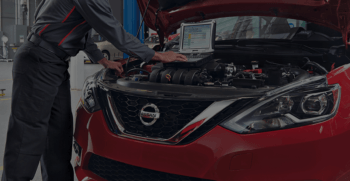 The service experts at Brantford Nissan have you covered. From test drives to tire rotations, and everything in between – we make car ownership easy. The My Choice Sales Event is back. The choice is yours – choose from three great bonus offers throughout the month of April. Contact us in-store or online to learn more. Our team is on hand to help with any part of the car shopping or vehicle ownership experience. We’re available to answer any questions you may have about car ownership, vehicle service or financing. Call us toll free at (519) 756- 9240, email us, or visit our contact page. We’re looking for a parts representative to join our growing team. Brantford Nissan is looking for an experienced business manager to join our growing team. We’re looking for a full-time receptionist to join our team. The right candidate will have customer service experience, is friendly, detail oriented and eager to learn.